Bahia Grey 2 ft. x 3 ft. Indoor Transitional Rectangular Accent Rug Bring this Artistic Weavers Bahia accent rug into your dining room for an easy splash of style. Crafted to be an indoor piece, its plush wool material is unique and comfy at the same time. Keep this hand-made made rug in your home for a long time. 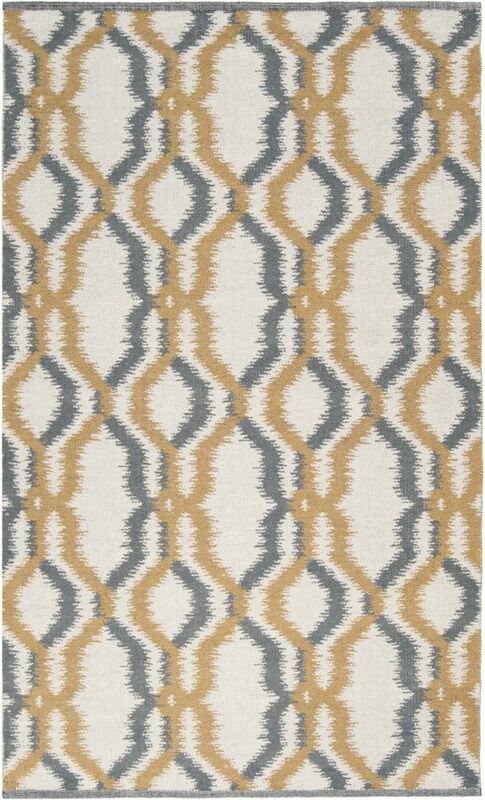 Add this geometric patterned grey rug to the decor of your home for a contemporary infusion.